The Dharmaguptaka are one of the eighteen schools of early Buddhism. It had a prominent role in early Central Asian and Chinese Buddhism, and its monastic rules are still in effect in some East Asian countries to this day. 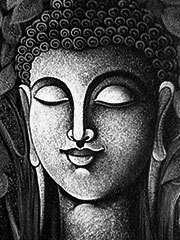 The Dharmaguptaka doctrine appears to have been characterized by an understanding of the Buddha as separate in essence, and superior to, the monastic community, in opposition to the belief of other schools. The Gandharan Buddhist texts, the earliest Buddhist texts ever discovered, are apparently dedicated to the teachers of the Dharmaguptaka school. They tend to confirm a flourishing of the Dharmaguptaka school in northwestern India around the 1st century CE, and this would explain the subsequent influence of the Dharmaguptakas in Central Asia and then northeastern Asia. The Dharmaguptaka vinaya was translated into Chinese by Kuang Seng Kai in 152 CE, and thereafter became the predominant vinaya in Chinese Buddhist monasticism. When Hsuan-Tsang travelled in Asia during the 7th century however, he reported that the Dharmaguptakas had almost completely disappeared from India and Central Asia. The Dharmaguptaka vinaya, or «monastic rules», are still followed today in Taiwan, China, Korea, and Vietnam, and its lineage for the ordination of nuns (bhikkhuni) has survived uninterrupted to this day. Ordination under the Dharmaguptaka vinaya only relates to monastic vows and lineage, and does not conflict with the actual Buddhist tradition one follows.